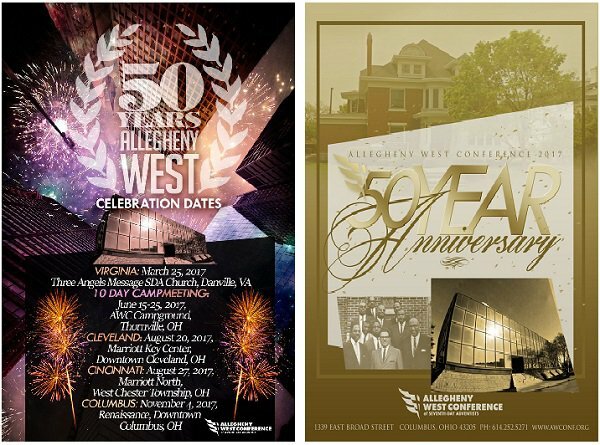 Since the organization of the Allegheny West Conference (AWC), its success can be measured by the consistent increase of new congregations, the addition of new church plants, the development of enriched educational programs and the acquisition and continual development of a very scenic campground site for camp meetings, youth camps, spiritual retreats, etc. The spiritual enrichment and growth of its constituents has remained the primary emphasis for the AWC. The Brick Walkway will be located at the AWC Campground, in Thornville, Ohio, or the new AWC headquarters in Columbus, Ohio. For questions/additional information, please see the Brick Campaign FAQ Section on the AWC website, https://www.awconf.org/news5. If your question is not listed, send an email to Janice L. Walker, the 50th Anniversary Celebration Brick Campaign Director, at jldubb@icloud.com with the phrase “Brick Campaign” in the subject line.